Destination Cape Breton Association is the official Tourism Industry Association for Cape Breton Island and are dedicated to enhancing the tourism industry. As with all associations, the success of its accomplishments is directly related to it’s industry partners and their input into the association. The main objectives of the association is to focus on marketing, tourism product development, visitor information services. 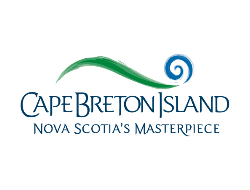 Destination Cape Breton Association is dedicated to the promotion and enhancement of Tourism on Cape Breton Island.